BlogHome » Recreate the skin you’re in and live your life – Competition Terms & Conditions. 1. WHO MAY ENTER: The only persons who may enter and be awarded prizes are New South Wales residents. 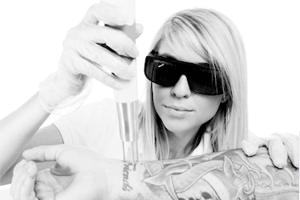 Employees, contractors or immediate family members of tattoo removal Sydney, Think Again Laser Clinic, its related bodies corporate and any individual under 18 years of age are ineligible to enter the competition. “Immediate family” means spouse, defacto, parent, natural or adopted child and sibling whether or not they live in the same household as the employee. 2. CONDITIONS OF ENTRY: In order to enter the competition, entrants can be either new, existing or completed clients of Think Again Laser Clinic. New clients must call Think Again Laser Clinic to make a booking and begin their first treatment in the clinic before the closing date of the competition. Existing Clients will be eligible to enter if they refer a friend for treatment during the months of February and March 2018 and only if they begin their first treatment within these months. Existing clients or those who have completed their term with Think Again can also receive one entry into the competition by leaving unbiased feedback via a Google review of Think Again Laser Clinic during Feb/Mar 18. All entry forms must be completed by the entrant in the clinic at 2/188-190 Victoria Road, Rozelle NSW 2039 upon competition of the above requirements. All eligible entrants will receive one entry only into the competition. Entry into the competition will be deemed as acceptance of these terms and conditions. 3. DURATION: The competition commences at 10:00am on 01 February 2018 and closes at 18:00pm 31st March 2018. After this date the no further entries to the competition will be permitted. 4. PRIZE: The prize consists of a chance to win a Travel Gift Card (RRP: $1000) Total prize pool $1o00AUD. The prize must be taken as offered and are not exchangeable, transferable or redeemable for cash. 5. SELECTION OF WINNERS: The winners will be determined by random selection using barrel draw from all entries received during the competition period. The draw will be conducted at 10:00am on Saturday 2nd April 2018 at 2/188-190 Victoria Road Rozelle 2039. The Promoter’s decision in relation to any aspect of the competition is final and binding on every person who enters. No correspondence will be entered into. 6. NOTIFICATION OF WINNERS: The winner will be contacted by Think Again Laser Clinic within two business days of the draw and also be advised in writing. The promoter will notify the winner when and where the prize can be collected. The winner will be published on the Think Again Laser Clinic website (www.thinkagainlaserclinic.com.au), Facebook and Instagram pages. 7. UNCLAIMED PRIZES Prize must be claimed by 16/03/2018. If the winner cannot be contacted or do not claim the prize within 14 days of notification, we reserve the right to withdraw the prize from the winner and pick a replacement winner. 8. OWNERSHIP OF ENTRIES: Entries received after the closing date of the 31/03/2018 will not be considered. All entries become the property of Think Again Laser Clinic 2/188-190 Victoria Road, Rozelle NSW 2039. By entering this competition, an entrant is indicating his/her agreement to be bound by these terms and conditions. 9. PRIVACY Under the Privacy Act we are required to make you aware of how we will collect and use the personal information that you provide to us. This information can be available by contacting Think Again Laser Clinic on 0474 817 767 or emailing info@thinkagainlaserclinic.com.au. The winner agrees to the use of his/her name and image in any publicity material created on behalf of Thin Again Laser Clinic. 10. NO QUALITY REPRESENTATIONS: The Promoter makes no representations or warranties as to the quality or suitability of any goods and services offered as prizes. The promoter is not responsible for inaccurate prize details supplied to any entrant by any third party connected with this competition. This promotion is in no way sponsored, endorsed or administered by, or associated with, Facebook, Twitter or any other Social Network. You are providing your information to Think Again Laser Clinic and not to any other party. 11. CHANGE OF CONDITION: Where deemed necessary the promoter reserves the right to cancel or amend the competition and these terms and conditions without notice. Any changes to the competition will be notified to entrants as soon as possible by the promoter. 12. COMPETITION PERMIT- NSW LTPS/16/00517 – This permit is approved under delegation from the Minister administering the Lotteries and Art Unions Act 1901. COMPETITION: THINK AGAIN LASER CLINIC- Recreate the skin you’re in & live your life! 1. WHO MAY ENTER: The only persons who may enter and be awarded prizes are New South Wales residents. 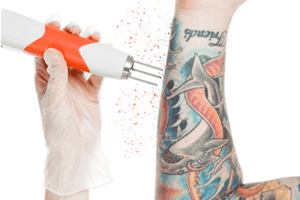 Employees, contractors or immediate family members of Think Again Laser Clinic, its related bodies corporate and any individual under 18 years of age are ineligible to enter the competition. “Immediate family” means spouse, defacto, parent, natural or adopted child and sibling whether or not they live in the same household as the employee. 2. CONDITIONS OF ENTRY: In order to enter the competition, entrants can be either new, existing or completed clients of Think Again Laser Clinic. New clients must call Think Again Laser Clinic to make a booking and begin their first treatment in the clinic before the closing date of the competition. Existing Clients will be eligible to enter if they refer a friend for treatment during the months of February and March 2018 and only if they begin their first treatment within these months. Existing clients or those who have completed their term with Think Again can also receive one entry into the competition by leaving unbiased feedback via a Google review of Think Again Laser Clinic during Feb/Mar 16. All entry forms must be completed by the entrant in the clinic at 2/188-190 Victoria Road, Rozelle NSW 2039 upon competition of the above requirements. All eligible entrants will receive one entry only into the competition. Entry into the competition will be deemed as acceptance of these terms and conditions. How Far Would You Go For A Freebie?